Hello again to all of our daylily friends and garden visitors. How is it that already another year has come and gone? 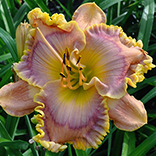 We continue to be blessed due to the many good friends we have made in the wonderful world of daylilies. Just as in the past Jane and I pursue our hybridizing goals without regard to commercial success, but rather to explore as many new avenues as possible with our modest sized program. Our catalogs seldom resemble each other from year to year, but this year we again have several new introductions coming from the powerful Emerald Starburst both used as a diploid (RUBY STARBURST and WINDMILL LANE) and as a Tetraploid (WONDERMINT.) Last year's GREEN EMPEROR, LADY DRAGON, and MAMA KNOWS BEST) are receiving very nice comments from around the country. This year most of our plants are in quite limited supply. We continue to try and have common sense pricing for our friends and daylily collectors. This past September Central Florida was struck by hurricane Irma, and our street probably by a tornado. Damage was so severe Jane and I were unsure if we would even proceed with our program. From out of seemingly nowhere 16 members from a local church showed up about 10 days after the storm asking if they could help clean up the garden for us. Just a half day later we were back to thinking about this catalog and Water Mill Gardens in 2018. They had spent the previous day helping out with the Reilly and Floyd Cove gardens. It is with a special feeling of gratitude we thank the generosity of those members of the Church of Latter-Day Saints in near-by Deltona for their help and generosity of spirit. We would also like to thank our friend Arlene Wierschem and the Sanford Camera Club for photography and their encouragement for me to take images. We believe our plants will look as good in your garden as they are pictured in our catalog as we do not enhance colors in order to increase sales, and we try not to publish unrepresentative “glamor shots.” We try to show images that are of typical good blooms as they should oftentimes appear in your garden. We've learned and especially this year relearned that patterned daylilies vary not just from early to late in the season, but from year to year. Many previous keeper patterned seedlings were tossed this year for this reason. Regarding bud count, Jane and I actually go out into the garden and count the buds and branches on several typical scapes and then average to be as accurate as possible. Again, we consider ourselves to be much more of a hybridizing venture rather than a commercial venture, and we try to get as much new genetic material out to you as soon as we can. We are faithful to our reservations list, but expect either payment or a conformation contact prior to March lst. 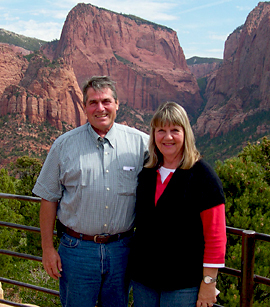 Year after year customers in the northern states report that almost all of our creations do well in their gardens. We started our program on Long Island, N.Y. and have always tried to keep as much northern blood as we could in our crossing. We strongly believe that too many newer daylilies are shorter than we'd like and therefore we have strived to try and generally increase the height of our introductions. We believe this makes for better presentations in the perennial garden.